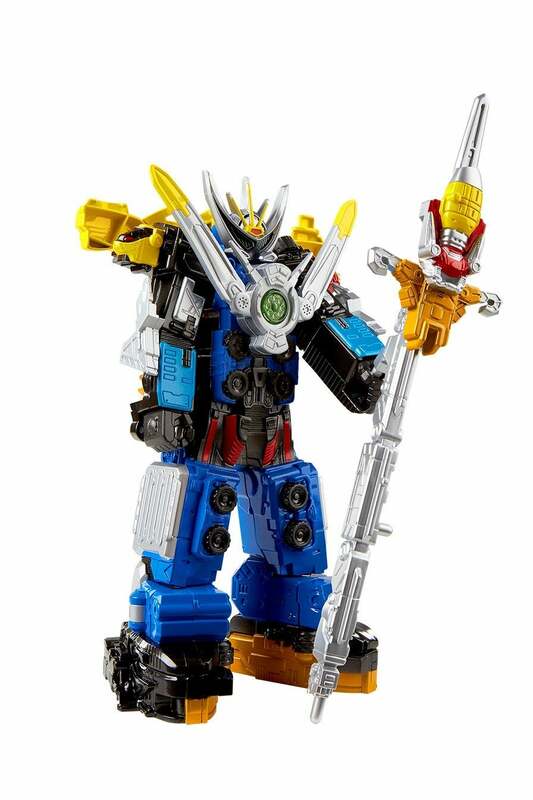 With Toy Fair right around the corner, Hasbro is giving away new looks at their upcoming Power Rangers toylines, and today we've got our first look at Beast Morphers' Ultrazord and a new Megazord from the Playskool toy line. Toy Fair 2019 hits next week, but Hasbro is lifting the curtain on several new products, including the Power Rangers Beast Morphers Beast-X Ultrazord figure. The new Beast-X Ultrazord is the combination of the Rangers' powerful Zords and features more than 30 sounds and phrases. It will say things like "Beast-X Ultrazord attack!" and "Wow! We're going fast now!, as well as things "Woah! Everything's upside down!" Plus the design is just sweet on its own, and you can check out more pictures of it in the following slides. Next up is the newest reveal from the Power Rangers Playskool line, specifically the Power Morphin Megazord Playset. The Megazord is inspired by Power Rangers Wild Force and can be morphed into Beast form as well. 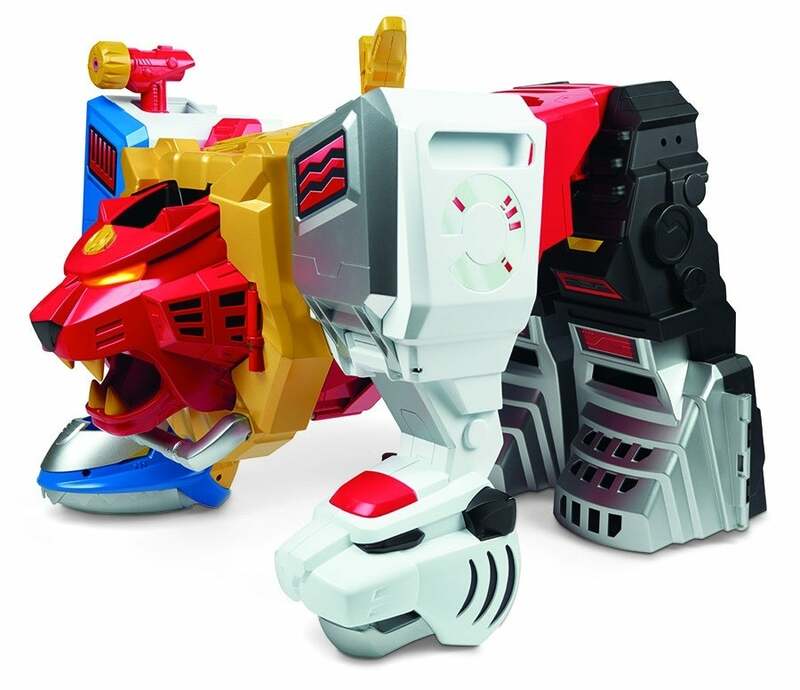 The playset features an electronic lion's head that comes with lights and sounds, and also includes a shoulder projectile launcher, a mini Red Ranger figure, and a jail cell in the Megazord's foot. There's also a ramp that can be used with the Raptor Cycle in its left foot, and you can take a look at all of the setups in the following slides. Both of these new additions to the line hit in Fall of this year, so hit the next slide to see what you're getting when they hit stores! In this episode of ComicBook Nation (subscribe here), The Walking Dead gets a new lease on life; we need to find a new Wolverine for the MCU; we break down all those new Super Bowl trailers, and actually talk about some comic books. "IT’S MORPHIN TIME! From the BEAST MORPHERS back to the original MIGHTY MORPHIN POWER RANGERS, the POWER RANGERS have brought teamwork, action, and adventure to fans. The legacy continues with figures, vehicles, collectibles, and roleplay toys from Hasbro, celebrating Ranger teams from MIGHTY MORPHIN to the BEAST MORPHERS. Imagine all the action of POWER RANGERS with toys from Hasbro! When the villain is too powerful for the Power Rangers alone, they summon their Zords and join together to form the BEAST-X ULTRAZORD, the ultimate in Morphin power! Imagine teaming up and battling the Power Rangers' toughest enemies with the BEAST-X ULTRAZORD. This action figure can detect certain positions and features more than 30 sounds and phrases, like "Beast-X Ultrazord attack! ", "Wow! We're going fast now! ", and "Woah! Everything's upside down!" The figure also includes an accessory for extra fun. 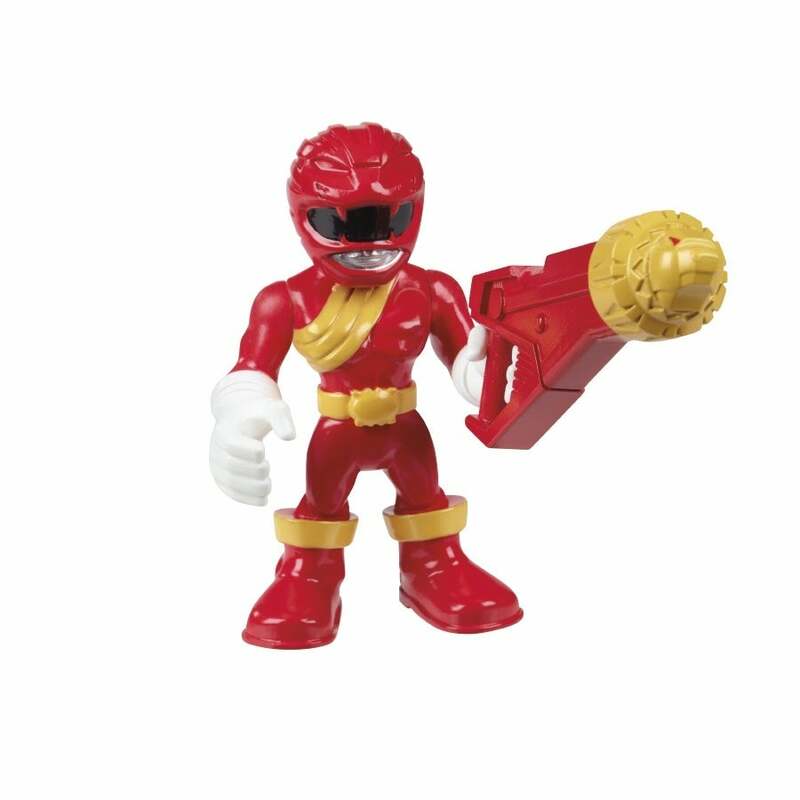 Find other POWER RANGERS figures and gear, including POWER RANGERS BEAST MORPHERS toys, to expand the morphinominal action. Each sold separately. Available at most major toy retailers nationwide." "GO GO POWER RANGERS! 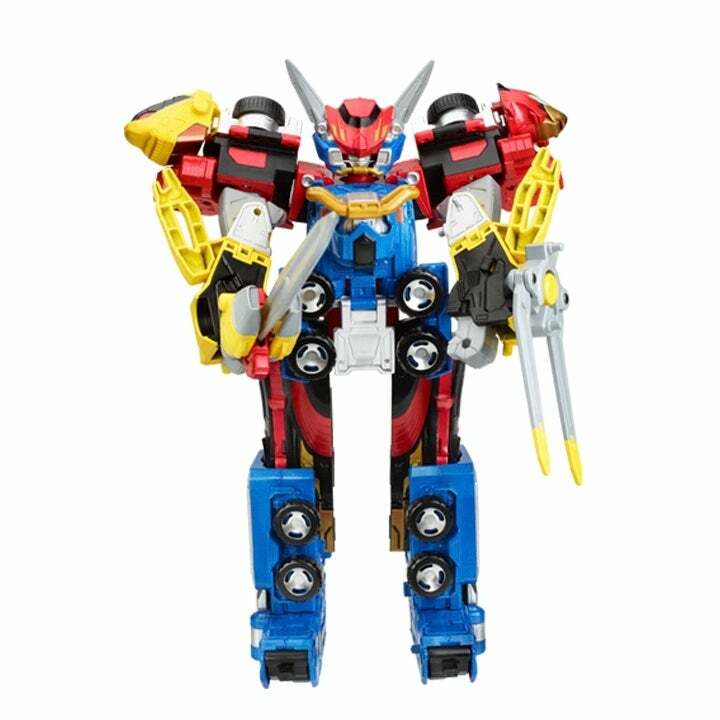 Imagine smashing into battle alongside the Red Ranger and Power Morphin Megazord with the POWER RANGERS PLAYSKOOL HEROES POWER MORPHIN MEGAZORD Playset, inspired by the WILD FORCE POWER RANGERS TV series! 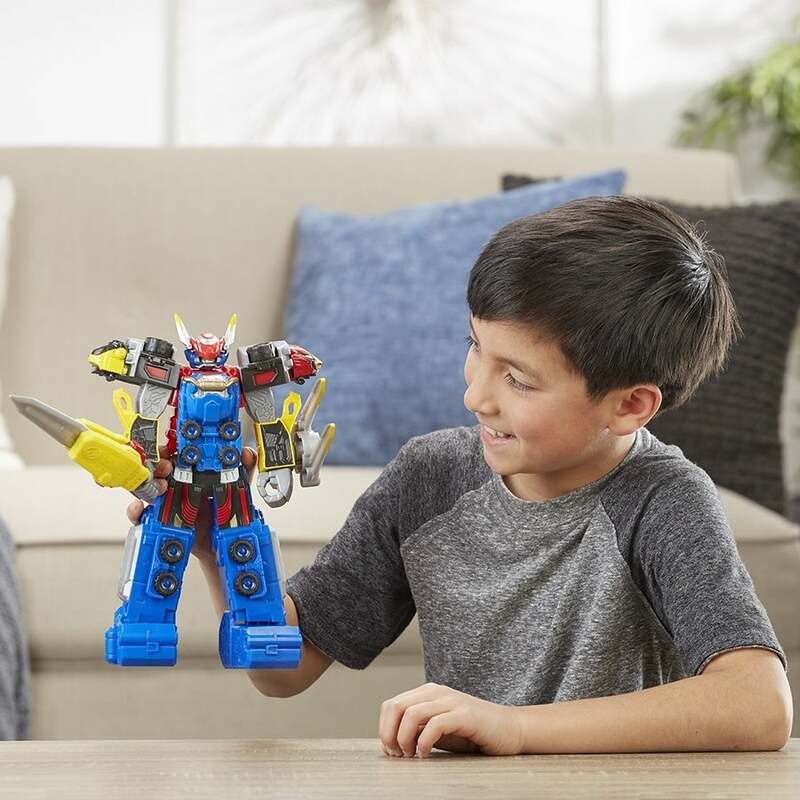 The MEGAZORD playset features 2-in-1 morphing action, which gives kids ages 3 and up 2 ways to play—as a mighty Zord or morphed into a fearsome beast with 1 easy step! Sized right for younger Rangers, this 2-foot tall playset lets boys and girls get a grip on huge fun! 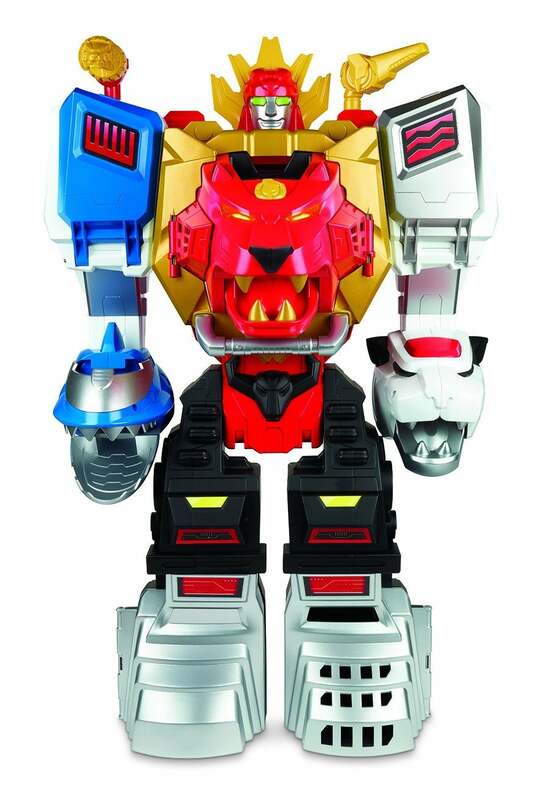 Kids will love twisting the handle on the Megazord’s shoulder to open the chest and reveal a pop-out lion’s head featuring electronic lights and sounds, as well as chomping action. Fire a projectile from the right shoulder with the push-button activated projectile launcher, or open either shoulder to reveal a platform offering the Red Ranger figure a bird’s eye view of the battle, including a pretend targeting system! Need to keep an eye on the bad guys? Open the Megazord’s right foot to uncover a jail cell. Need some extra help in the battle? Race the Blue Ranger and Raptor Cycle into action down the ramp hidden in the Megazord’s left foot. Kids can imagine big battles and epic encounters as they uncover all of the surprises this playset has in store! Each sold separately. Available at most major toy retailers nationwide."